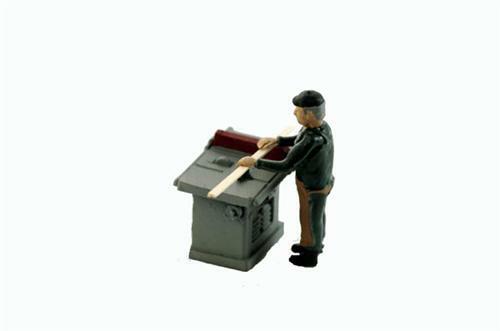 The Craftsman at his Table Saw.......another detailed Power Tool set From our "In Action" workshop detailing series. 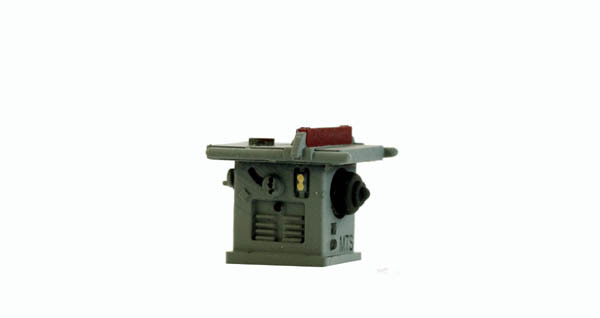 See all of our hand and Power Tools Set for fine N Scale Industry and workshop super detailing. 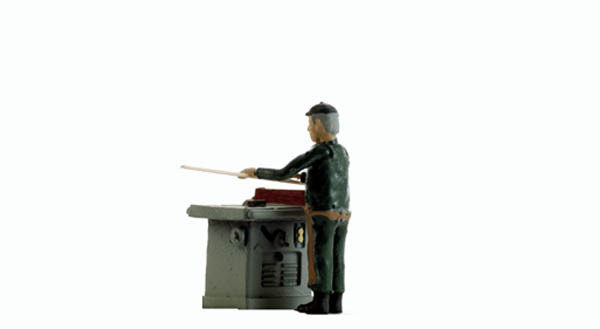 This old woodworker stands cutting a board at his BandSaw. With his leather work apron Mike is busy working on his daily project in the shop. 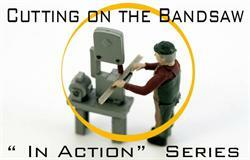 Another Creative WORKSHOP Character from our "In Action" series of N Scale working figures. The Radial Arm saw and Woodworker. A key tool for any workshop. A piece you don't see modeled but is essential in creating realistic workshop environments. Very fine detailing in N Scale. 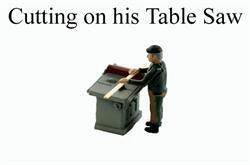 Comes Finished with the Woodworker as well. 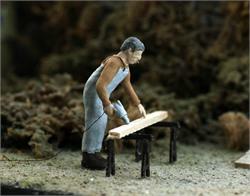 Wooden Sawhorses......N Scale Detail Sawhorse 6 Pack. 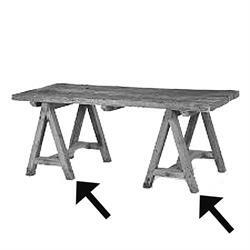 Detail nearly any scene with Sawhorses. They come Assembled and Finished for you in N Scale.